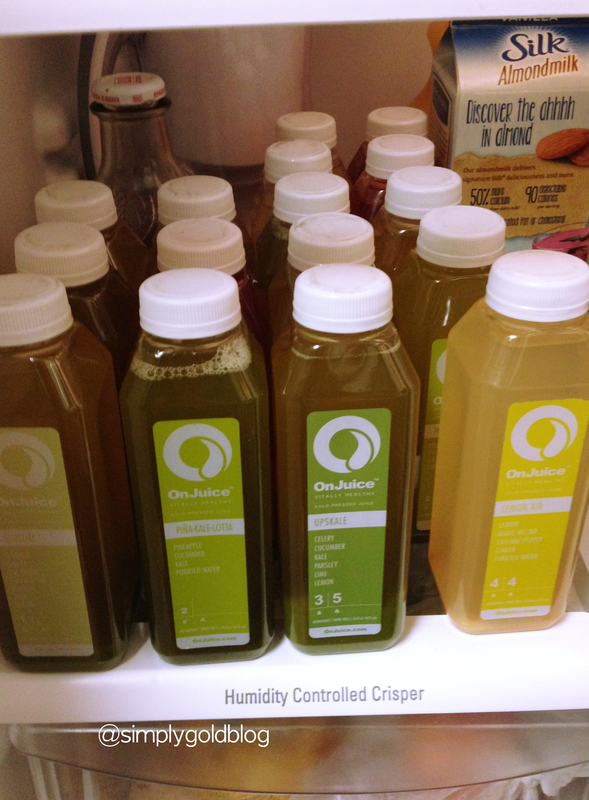 This past week I set out on my very first juice cleanse thanks to the wonderful people at Onjuice. Being a self proclaimed health nut I try to maintain a healthy balance when it comes to eating and exercise, so I was thrilled when they asked me to try out a juice cleanse. 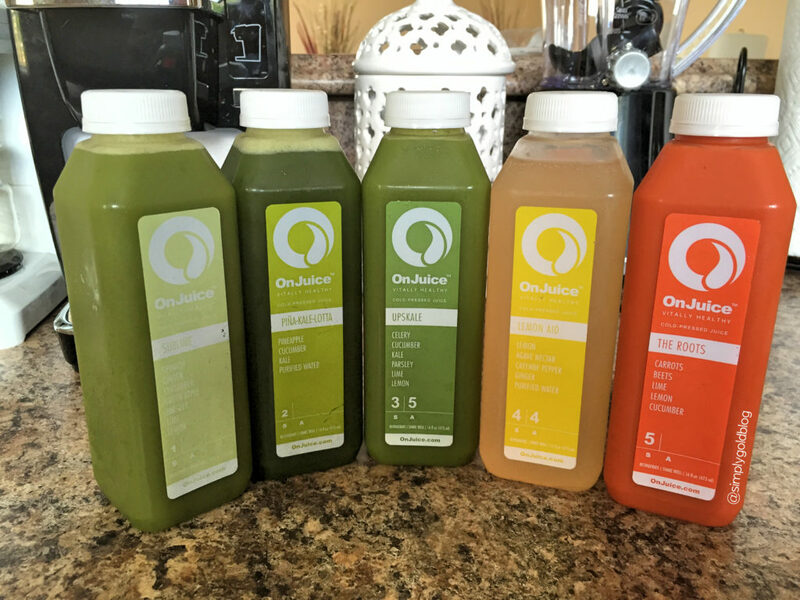 If you are unfamiliar with OnJuice they are a South Florida based company who has taken juicing to the next level of healthy. They have developed a technique of cold pressing their ingredients to optimize the nutrients and vitamins that go from the fruit and veggies into the juices. And as if they isn’t awesome enough a juice is only as good as the ingredients itself right? Well all of the fruits and veggies that OnJuice uses are fresh and locally grown so they know exactly how and what goes into making the freshest produce. 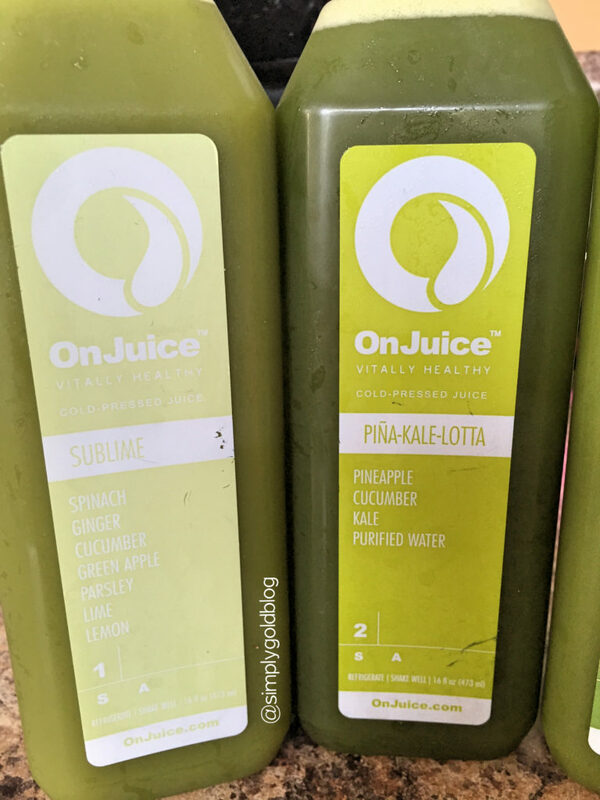 I tried the Traditional 3 day Cleanse by OnJuice and I think this was the perfect choice for my first run at a juice cleanse. It consisted of 6 juices a day(I had two sublimes a day) that are meant to restore your body to its optimal state. It restores your bodies pH and is meant to rid yourself of toxins that cause fatigue, headaches and unhealthy skin just to name a few. I began my cleanse on monday and lasted till wednesday and to be honest it wasn’t as crazy as everyone makes it out to be, it was tough at times but not undoable my any means. Day 1 I was completely pumped and ready to start. I got through the day easy and was excited to finally be able to taste all of the juices that were chilling in my fridge. I did exercise that day which I think made day 2 a little harder for me because I did notice that I was hungrier then I was anticipating. So day 2 I had my juices every three hours as stated and because I am in school I was busy all day which really helped to distract me. By day 3 I honestly really was hungry and it was kind of a struggle but this is where being mentally tough and focused really helped me. I didn’t want all of my hard work and detoxing to go to waste which really helped me to stay strong (which I did!). Overall I am really glad I did this, even though I couldn’t have coffee I noticed that I really didn’t get any headaches due to the lack of caffeine. I didn’t feel sluggish like I often do thanks to my crazy school schedule and I felt overall rejuvenated (who doesn’t love that). 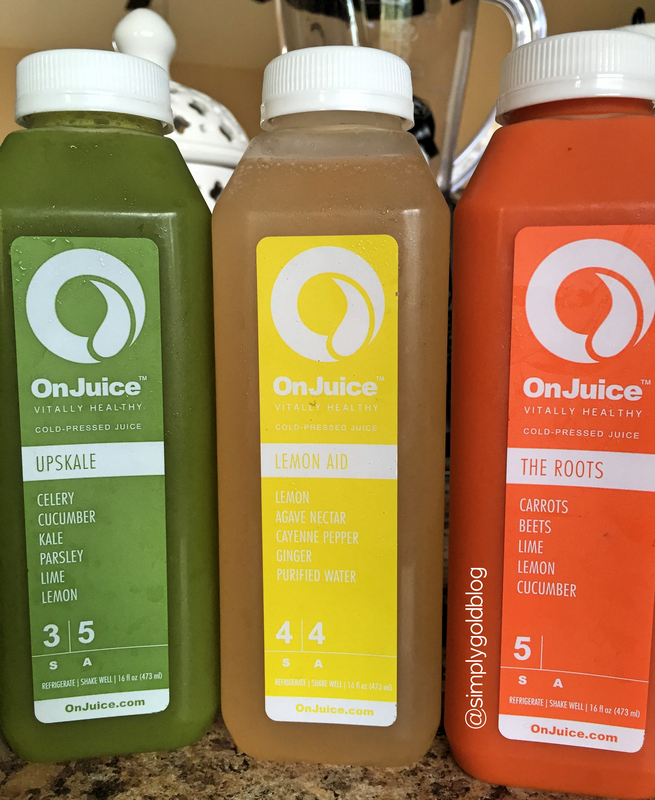 I just wanted to thank everyone at OnJuice again for letting me try this cleanse and get my body back on track and back to that fine tuned machine I know it is. Since the cleanse I really have been even more careful and methodical (if thats even possible) about what I eat and what I use when I am cooking. 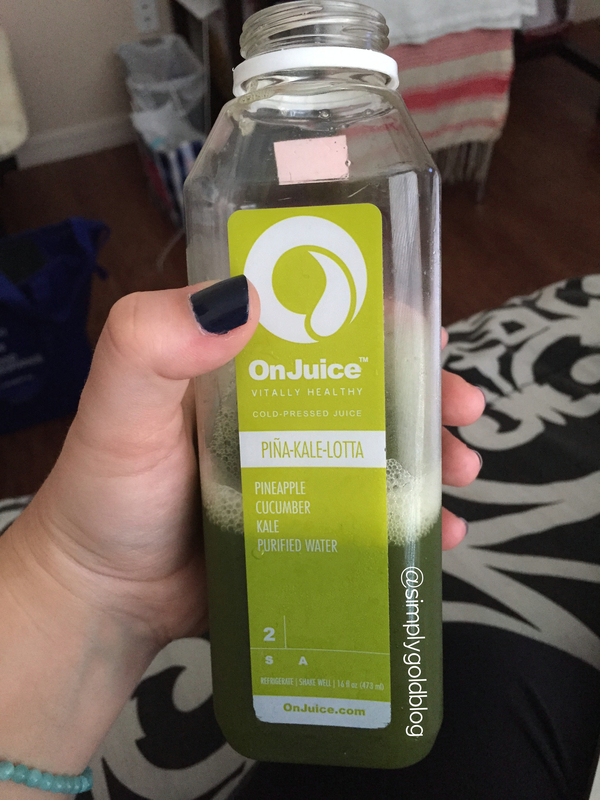 If any of you are interested in OnJuice you can learn more about all of their cleanses online. Also if you have any question feel free to reach out and ask away! !